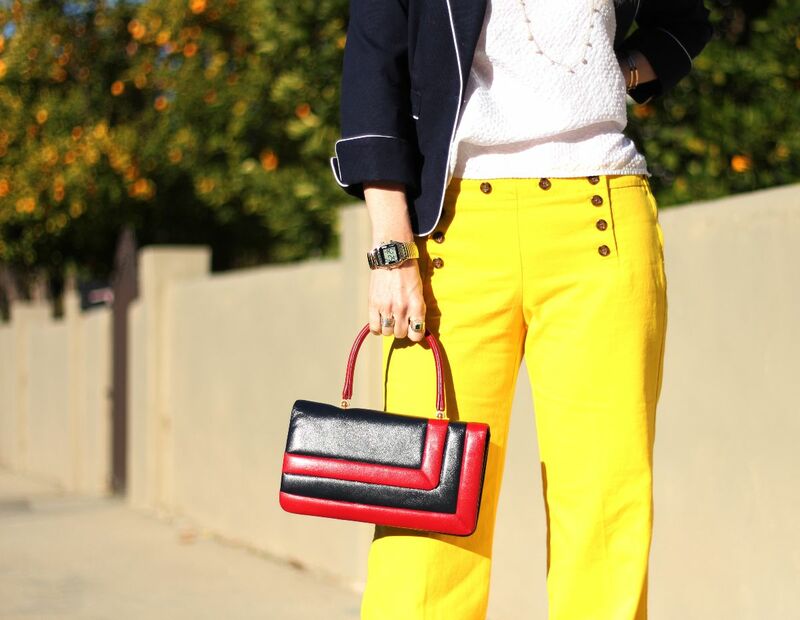 Here are those bright yellow sailor pants I found at the J Crew outlet this weekend. I want to play around with them a little more and style them in an unexpected way next time. I went with more of a classic look here – my blazer is from Isaac Mizrahi for Target, seersucker top from H & M, platforms from Pure DKNY plus an inherited vintage bag. These platforms are super comfy and remind me of authentic ones from the late 70’s except for the velcro ankle straps.